contains names and images of deceased persons. Lindsay, an Aboriginal elder, and Rob, a young white traveller meet in the Outback and make discoveries that may re-write Australia's history. Based on facts this story takes the reader on a journey through inner, personal landscapes and traditional Aboriginal country. Lindsay's challenge is to locate three sacred objects (tjurunga) that are needed to revive important ceremonies. They disappeared decades earlier and could be anywhere in the world. Through personal contacts, a website, and the help of Australia's Prime Minister he begins his journey. Why are the sacred objects so significant? Will he be able to bring them home? Rob's challenge is to find the first boomerang that came in the Dreamtime. He is inspired by Aboriginal legends, "cosmic timing" and reliable intuition that enables him to interpret signs which guide his search. Will he make the unprecedented discovery? Does the ancient artefact hold messages for Humanity? Time to enter the world of the First Boomerang. 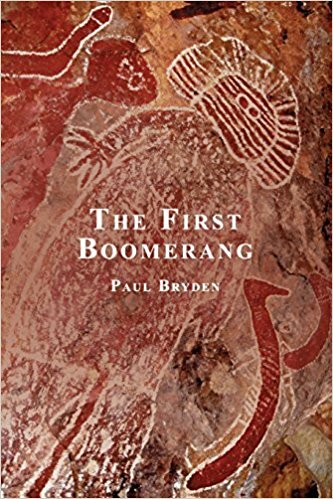 In 1976 I made and threw my first boomerangs and a 'window' into Australia's Aboriginal culture opened. In that year I travelled to Alice Springs and met a local Aboriginal watercolour artist. Then in 1983 I visited Cairns to meet a Mornington Island artist known for bark paintings, and later flew to Broome and shared special days with two highly respected elders. Since then I've had the privilege of meeting custodians and boomerang craftsmen from various regions, some of whom I'm still in touch with. I gained valuable information from them about traditional subjects and enjoyed many good times, but The First Boomerang is a work of fiction, except for historical details, created from my thoughts, intuition and experiences. Traditionally, Aboriginal peoples had no written languages, their cultures maintained by oral tradition. “Language” words therefore are usually interpretations made by linguists after interacting with native speakers. In the text I've written English names first, followed by language names. For example Ayers Rock (Uluru), which is well known, and Anzac Hill (Atnelkentyarliweke) that's hardly known at all. As well as difficult pronunciation, spellings change. For example Arunta, Aranda, Arrarnta and Arrernte have been, or still are, used to name Aboriginal clans in and around Alice Springs. For the story I prefer Aranda, as does the Elder, because it is easier to pronounce at first attempt than Arrernte, the most recent version. Unfortunately, my use of “language” words is not consistent because spellings vary, but I urge the reader's indulgence! Also, because of respect for Aboriginal culture and the complexity of skin names and kinship systems, I gave the Elder a European name only. Synchronicity played its part while I was writing. One example occurred when Rob was in Alice Springs after beginning his quest and the Araluen Arts Centre was hosting The Yuendumu Doors exhibition. On one painted door he saw a Dreamtime story that featured “come-back” boomerangs. This surprising discovery added real intrigue because returning boomerangs were never used by Aboriginal clans in Central Australia! In Chapter 3 Rob travels with Rock Art researchers to Ewaninga (Napwerte) Conservation Reserve and they take photos and record video of the rock engravings. Even though a fictional trip, it occurred several years before the site's custodians stopped allowing filming or photography. Finally, most of the action, apart from earlier historical events, is set in the year 2000. This means that some names and other references may have changed since then, however they do not detract from the plot, themes and characters of the story. 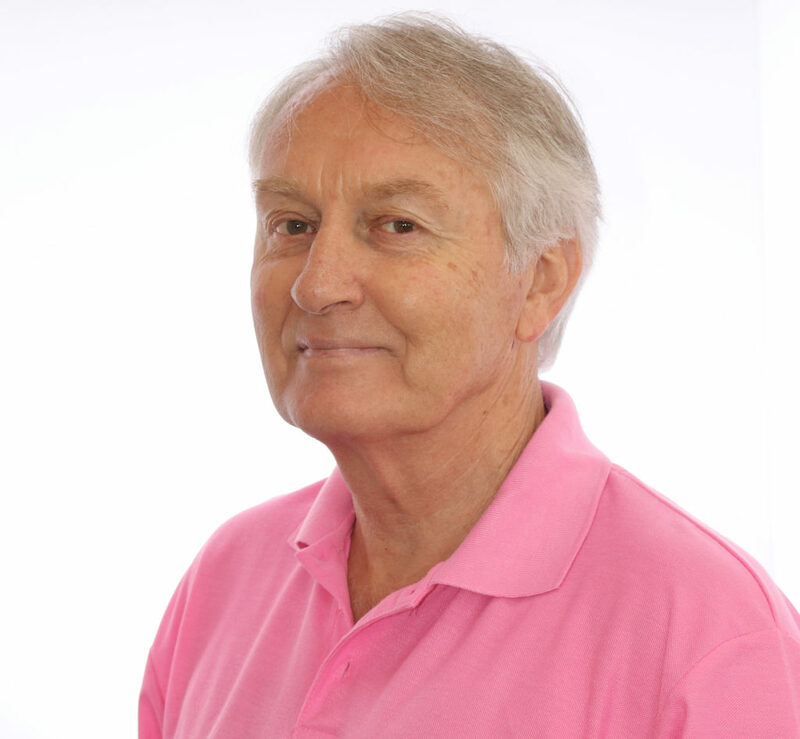 Paul Bryden is an Australian author, speaker and sportsman. His writing credits include travel articles, poetry, song lyrics, and scripts for TV commercials and documentaries. 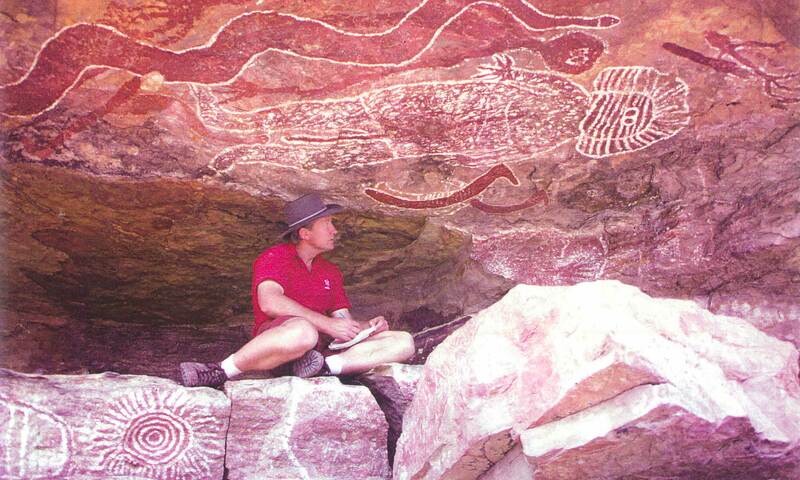 His interest in Aboriginal culture began in 1976 when he made and threw his first boomerangs. Since then he has met elders, assisted artists, photographed Rock Art, collected legends and artefacts, and taught hundreds of clients how to throw. He is a former Australian Boomerang Throwing Champion, and continues to research Aboriginal culture and collect boomerangs. Paul also draws inspiration from the spiritual heritage of India, where he has written and filmed humanitarian stories during visits over more than 20 years. His first book,“Getting in Touch,” features poetry, sayings and song lyrics. A sporting all-rounder in his younger years in cricket, tennis, athletics, rugby league and horse riding he has also won medals in Athletics at the World Masters Games. 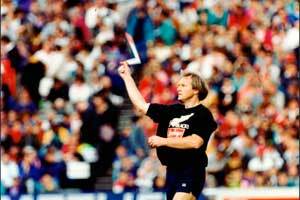 As a multiple winner of Australian Boomerang Throwing events, Paul has demonstrated indoors, on live TV in Thailand, thrown around giant stone Moai on Easter Island, and entertained 40,000 rugby union fans in New Zealand at the Bledisloe Cup. Interest in the magic of Boomerangs extends beyond borders. Paul has taught thousands of people from all over the world, in many parts of the world. 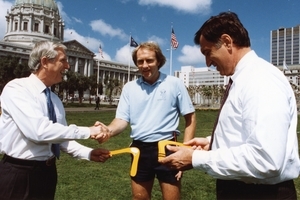 Congratulating the Mayors of Sydney and San Francisco after their successful throwing lesson in California. 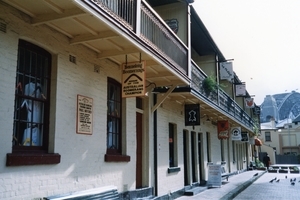 Paul's Boomerang Shop in The Rocks, Sydney 1987 - 1993 hosted visitors from many countries and was famous for its quality and authenticity. Do you remember your visit? Paul acted with Mia Farrow and Jason Robards in “Hurricane,” filmed on Bora Bora, French Polynesia. 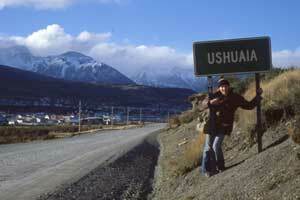 Paul has enjoyed numerous global adventures including hitch-hiking from Santiago, Chile to Ushuaia, Argentina, the southern-most town in the world. 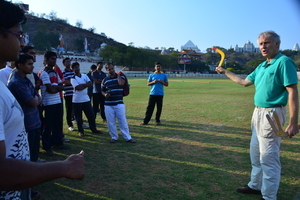 Introducing Sports Boomerang Throwing to university students in India. Paul and a team he coached performed in front of 15,000 people in Puttaparthi, Andhra Pradesh in 2016. 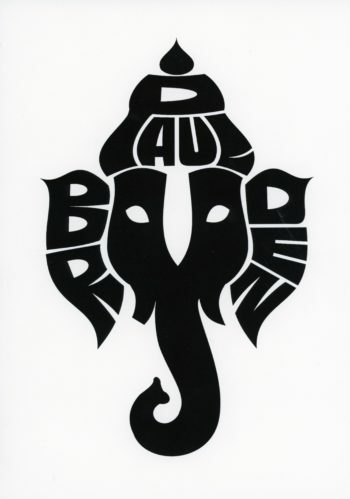 Paul's name styled as Ganesh from Indian tradition.